This unique book provides descriptions of the 'state of the art' and, at the same time, identifies avenues for future research. He acts as referee of numerous journals. It is composed of chapters written by leading experts on 'modern diffraction methods'. This book offers an authoritative overview of the new developments in the field of analysis of matter by in particular X-ray, electron and neutron diffraction. 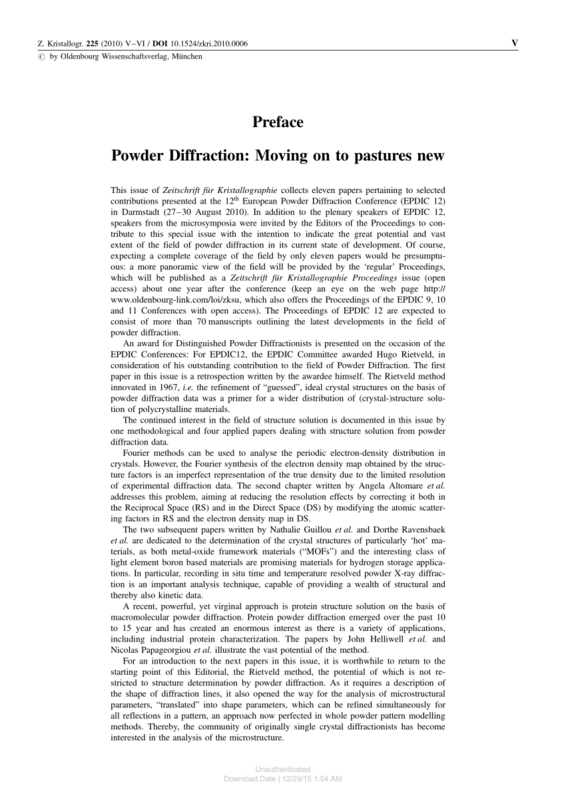 He has been an editor of the Proceedings of the European Powder Diffraction Conference since 2002, a special issue of the journal Zeitschrift fur Kristallographie dedicated to 'The State of the Art of Powder Diffration' and acts as referee of numerous journals. His research activities are dedicated to the diffraction analysis of the microstructure of materials and have a strong methodological interest. Dr Welzel obtained his PhD in 2002 under the supervision of Professor Mittemeijer and serves now as a research scientist and the head of a service laboratory for X-ray diffraction investigations at the Max Planck Institute for Metals Research. Mittemeijer, Udo Welzel Excludes: Russian Federation, Albania, Austria, Belgium, Bosnia and Herzegovina, Bulgaria, Croatia, Republic of, Cyprus, Czech Republic, Denmark, Estonia, Finland, France, Germany, Greece, Hungary, Ireland, Italy, Latvia, Lithuania, Luxembourg, Malta, Monaco, Netherlands, Poland, Portugal, Romania, Slovakia, Slovenia, Spain, Sweden, Ukraine, United Kingdom, Costa Rica, Dominican Republic, El Salvador, Haiti, Honduras, Philippines, Vietnam, Argentina, Bolivia, Brazil, Chile, Colombia, Ecuador, Paraguay, Peru, Suriname, Uruguay, Venezuela, Canada, Mexico, Egypt, Eritrea, Libya, Nigeria, Somalia, Iraq, Israel, Saudi Arabia, Turkey, Yemen, China, Georgia, India, Pakistan. Author: E J Mittemeijer; U Welzel Publisher: Weinheim : Wiley, 2013. Description Description The role of diffraction methods for the solid-state sciences has been pivotal to determining the micro structure of a material. 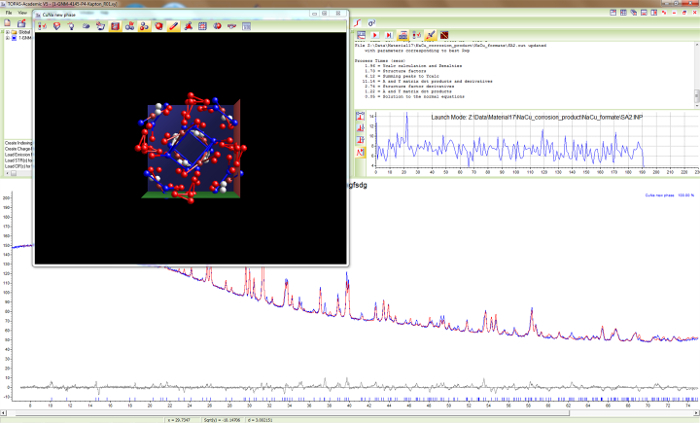 Particularly, the expanding activities in materials science have led to the development of new methods for analysis by diffraction. The book assumes only a basic kwledge of solid-state physics and allows the application of the described methods by the readers of the book either graduate students or mature scientists. He acts as referee of numerous journals. 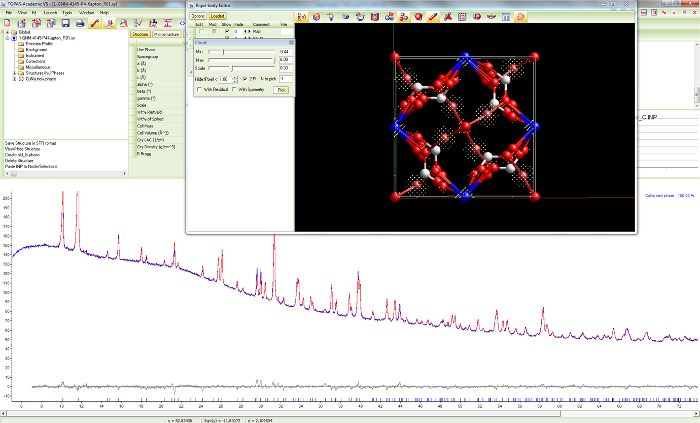 These range from nanoscience to materials science, surface technologies to single crystal structure determination, and the analysis of phases and phase transformations to the microstructure of materials. The E-mail message field is required. He has published more than 400 papers in international scientific journals and is a member of the editorial board of various journals, among them International Materials Reviews , Journal of Alloys and Compounds , Zeitschrift fur Metallkunde and Zeitschrift fur Kristallographie. Dr Welzel obtained his PhD in 2002 under the supervision of Professor Mittemeijer and serves now as a research scientist and the head of a service laboratory for X-ray diffraction investigations at the Max Planck Institute for Metals Research. The focus in the various chapters of this book is on the current forefront of research on and applications for diffraction methods. Of major interest to biochemists, material scientists, material engineers and also those working in industry. Professor Mittemeijer has led the department 'Phase Transformations in Solids' at the Max Planck Institute for Metals Research since 1998. Author Biography Professor Mittemeijer has led the department 'Phase Transformations in Solids' at the Max Planck Institute for Metals Research since 1998. His research activities are dedicated to the diffraction analysis of the microstructure of materials and have a strong methodological interest. Dimensions Weight 1196 g Width 175 mm Height 246 mm Spine 30 mm Credits Edited by E. . 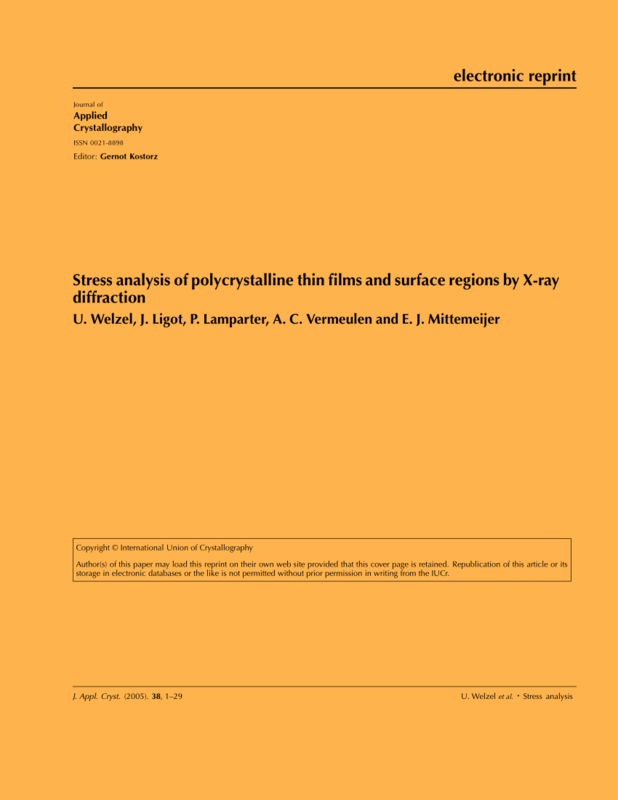 Description: 1 online resource 556 pages Contents: Modern Diffraction Methods; Contents; Preface; About the Editors; List of Contributors; Part I Structure Determination; 1 Structure Determination of Single Crystals; 1. . . . . . .